Through the MossRehab Community Falls and Injury Prevention Initiative, we are screening people to help prevent them from falling. The program is still in its infancy, but all our paperwork is in order, all required equipment is purchased and we have reached out to residents at assisted living and retirement facilities to schedule screenings. We are now working on a plan to screen identified patients at MossRehab. For those individuals at a moderate risk of falling, we offer an eight-week balance-training program (Moss Balance Builders); for those at higher risk, we recommend skilled physical therapy. We are identifying patients with balance deficits and hope to enroll them in the program. Our goal is to educate people in the community about falls prevention and screen individuals in hopes of identifying those with deficits to enroll them in the program to help prevent falls and avoid complications resulting from a fall. This program is possible thanks to a grant from the Albert Einstein Society. The funds not only help our community, but they help our clinicians as well. It’s provided us an amazing opportunity, which we would like to share with others. 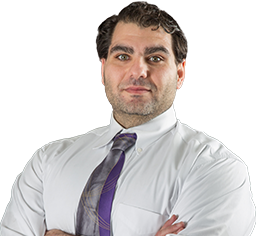 Ali El-Kerdi, PhD, DPT, PT, CAT(C), ATC/l, CSCS, FACSM, is an outpatient physical therapist at MossRehab.